Alpine Bank's Avon branch challenged BOLD Property Management Solutions to a CLEAN diet. Walking Mountains Science Center was the big winner with a $500 donation from each organization. AVON — A couple of local businesses won by losing. Alpine Bank’s Avon branch and Bold Property Management Solutions challenged each other to a clean-diet contest. The loser would donate $500 to Walking Mountains Science Center. This story has a happy ending because everyone lost (weight), which means everyone won. 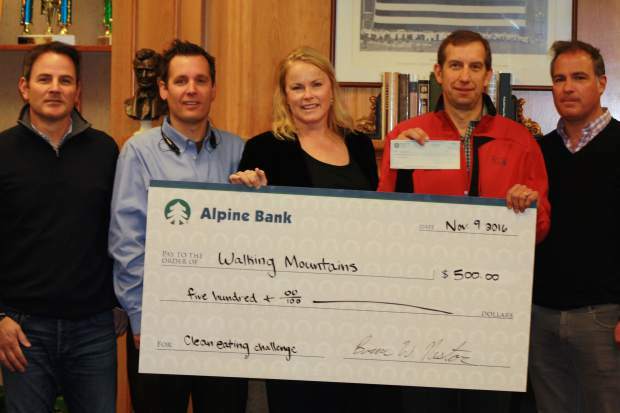 Also, both companies ended up donating $500 to Walking Mountains, for $1,000 total. It all started when Bold CEO Kimberly Rowland asked an Alpine Bank employee about a smoothie they were drinking. Rowland mentioned that Bold had done a company cleanse last winter involving smoothies to prepare for ski season. Two Bold employees even made a bet on their results. Before Rowland was finished with her banking errand, Alpine Bank’s Avon branch threw down the gauntlet and asked Bold for a company-to-company challenge this year. Bold was happy to pick it up. They decided Walking Mountains would be the benefactor. The clean-eating diet is not complicated. It requires you to stay out of the middle of the grocery store, where all of the processed food and junk food is on the shelves, with its bright, happy packages singing to you like a siren song, trying to lure you onto the rocks of refined sugar. It’s all about cleaning up your diet so there’s a greater focus on whole foods (think fruits, vegetables, protein and healthy fats) and less reliance on processed or refined foods. The diet aids in restoring the body’s ability to heal itself, promote weight loss and reduce inflammation. The first week involves eliminating inflammatory foods — foods that are harder on the body to digest. You’ll eliminate all dairy and gluten, as well as all processed foods. The second week is a continuation of the elimination diet, with the addition of smoothies for breakfast and soups for dinner. Lunch remains sensible, but liquid meals become the bulk of the diet. Participants can choose to continue the cleanse for two more weeks after Week 2 or move back to more sensible meals for breakfast and lunch. 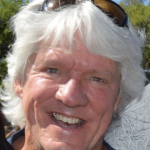 Tim Haley, Alpine’s regional e-banking officer, said Alpine Bank passed out an unofficial health survey and did a weigh-in for the participants before they started Week 1. At the end of Week 2, employees took the survey again. Everyone who actually did it was healthier and had lost an average of 4.3 pounds per person. “We were able to increase the awareness of the benefits of healthy eating habits to both companies’ staff,” Haley said.